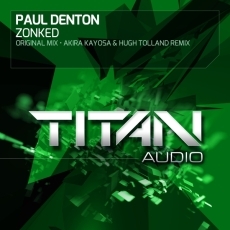 Following on from his impressive remix, Paul Denton takes centre stage with his original Titan debut Zonked. As featured on a major forthcoming compilation, Paul’s original mix once again demonstrates his high quality production and creativity with a clever transition from a massive riff fuelled breakdown to full on banging acid infused trance! Label bosses Akira Kayosa & Hugh Tolland step up to remix duties, switching the focus firmly to the melodic elements and introducing some powerful bending pads resulting in a dynamic end product!